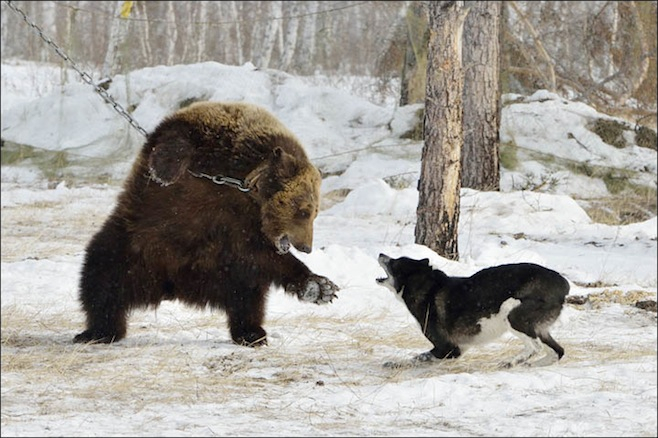 A Russian photographer has captured a series of images showing a chained-up bear being attacked by dogs during a competition to help them hone their hunting skills.  The competition took place earlier this month at the Bayanai Hunting Club in the far eastern Sakha Republic, where hunters were testing their dogs' ability to track down and ward off bears, The Siberian Times reported Monday. The bear, a five-year-old female called Masha, was chained up to a tree during the event while the dogs snapped and tore at her, according to the report and photos taken by photographer Spiridon Sleptsov. 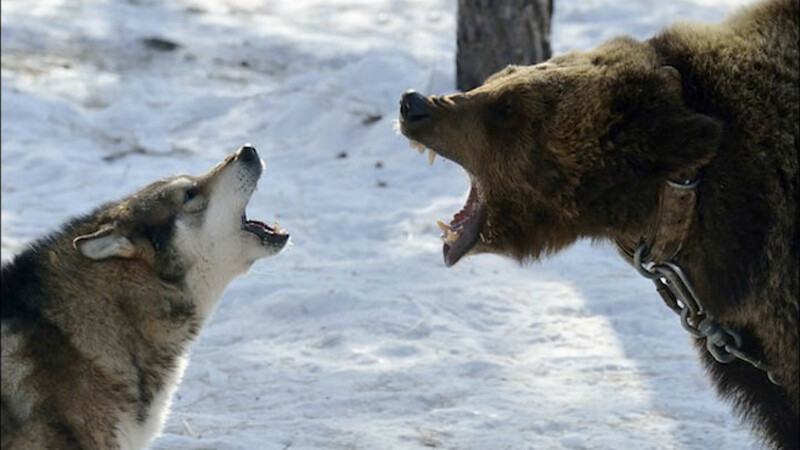 The dogs were then judged on their ability to harass the bear, though none were awarded the top certificates in the competition, which sought to find the best individual hunting dog and team, The Siberian Times reported. 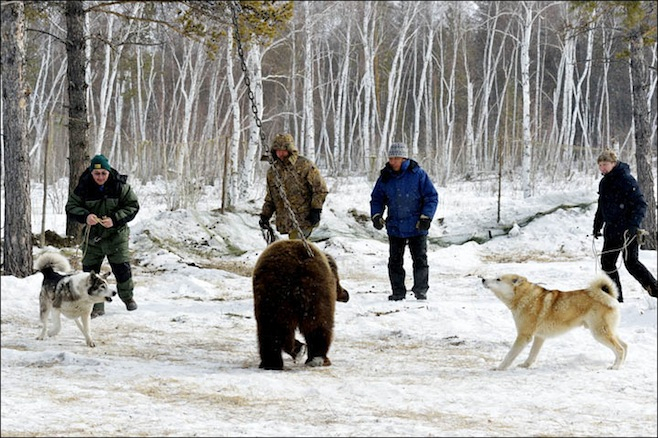 Bear attacks remain a real threat in the Russian Far East. In order to protect their communities, the hunters' dogs are trained to distract and harass the bears long enough for their owners to arrive to kill the animal. Animal rights legislation is notoriously lax in Russia, with brown bears often hunted down or kept in captivity for entertainment purposes. 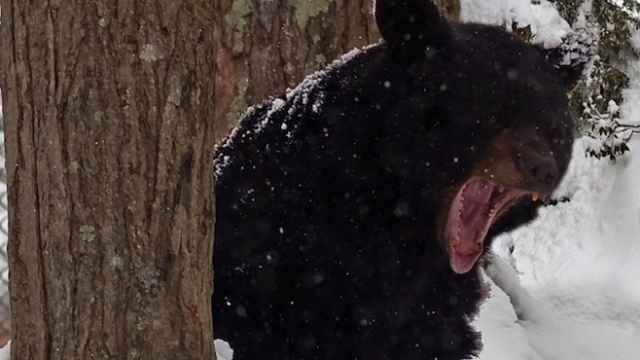 Residents in two Far East cities have been told to be on the lookout for hungry bears after three were shot for endangering the local populace. 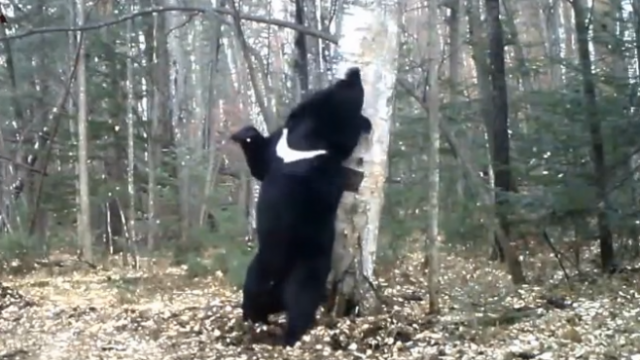 A bear in Russia's Far East has taken the phrase "dance like there's no one watching" to a whole new level. Bears can be found prowling uncomfortably close to people in some parts of the country.